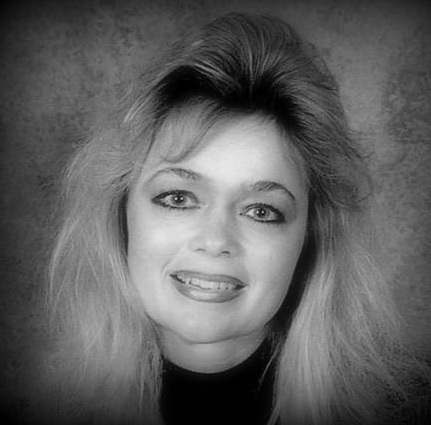 Kari Lee Fournier is a Christian conservative freelance writer. Recently retired after 38 years with her City Water Utility, Kari likes to say that she's still in the water business – although her work now involves the 'Living Water,' represented by the Holy Spirit, which is freely given by Jesus Christ to those who believe that He is their Savior who died and rose again for their sins. In her writings, she primarily attempts to relay the message of the Holy Bible in a simple way, so that those who read her work can immediately apply the Bible's teachings to their own personal life's journeys and trials. Kari's columns have appeared in the Faith Perspectives section of Gannett Company newspapers throughout northeastern Wisconsin. "Hark! The herald angels sing, 'Glory to the newborn King; Peace on earth and mercy mild, God and sinners reconciled!'" These vibrant lines from . . . The flurry of another Christmas season descends upon us, with all of the fast-paced frenzy that we've come to expect this time of year. And, yet, we who have . . .
"My family and my name have been totally and permanently destroyed by vicious and false additional accusations," stated a visibly angry and shaken Judge Brett . . .
Life is struggle. Plain and simple. If you've just gotten out of some sort of problem, you can bet that another one is right around the corner. And . . . Most of us remember the Christmas story in which a Grinch's heart grew three sizes in one day, all the result of seeing how the townspeople deep down in their . . .
As youngsters in kindergarten, our lifetime of labor begins quite ideally. We trudge off to the safety and security of the local schoolroom, and begin our early . . .
As we all eagerly look forward to the upcoming Memorial Day weekend, we also pause for reflection on those brave souls in the armed forces who gave their lives, . . .
As another terrorist attack unfolds, this time in London, and our country's crime and evil continue unabated, we ask ourselves how to remain above the fray. . . .
We've all had the experience of watching someone go through difficult times, thinking to ourselves "Wow, that's rough...sure glad it's not me." Once again, we . . . While it's too bad that these days one finds it necessary to defend their belief in Jesus Christ, it's a sad fact nonetheless. It's cool to talk about the . . .
(Originally published March 30, 2013, in the Green Bay Press-Gazette) The familiar scene opens to the gathering of ominous storm clouds. Darkness descends . . .
One of the most controversial topics of late concerns the existence of God. Are we created and planned by God, or are we simply a vapor that exists for a time . . .
(Originally published January 29, 2015, in the Green Bay Press-Gazette) The idea of enjoying heaven on earth seems like quite a reach, given the troubles we . . .